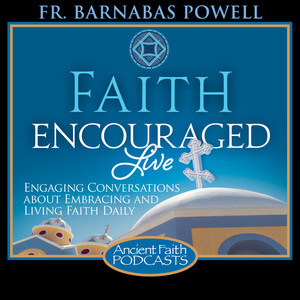 The Mission of Faith Encouraged is to be a catalyst for the appreciation and the adoption of an intentional practice of the Orthodox Christian faith. 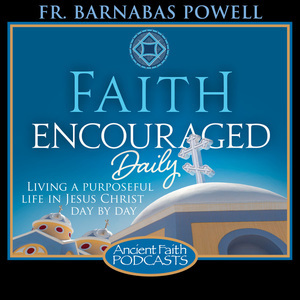 Faith Encouraged is the prayerful ministry of Fr. Barnabas Powell. Fr. Barnabas, a convert to the Holy Orthodox Christian Church, entered the Orthodox Church in November of 2001. In the Orthodox Christian faith, Fr. 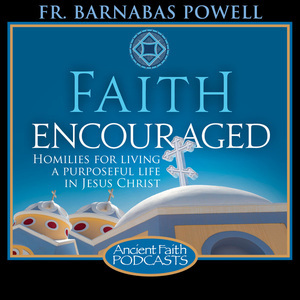 Barnabas has found a dynamic and disciplined lifestyle of faith centered on the miracle of God becoming flesh so that man might become “like Christ.” This journey to theosis cannot …be accomplished without a purposeful and intentional practice of the healing disciplines of the Orthodox faith. It is learning this lifestyle that overcomes the debilitating affects of a self-centered life, and becoming free to become by grace what Christ is by nature. This is the purpose for which every man, woman, boy, and girl was created. Read more about Fr. Barnabas HERE.